Comprised of 27 local units of government, Macomb County is characterized by dynamic urban clusters, expansive networks of industry and commerce, pristine natural features and bountiful agricultural lands. From the densely-populated southern cities to the rural northern villages, Macomb County possesses a wealth of assets that make it a desirable place to live, work and play. Located in southeast Michigan, Macomb County is 483.7 square miles. Adjacent counties include Wayne (south), Oakland (west), Lapeer (northwest) and St. Clair (northeast). Lake St. Clair lies directly east of Macomb County, with 32 miles of coastline comprising part of the county’s eastern border. Thirty-one miles of the Clinton River traverse through the county. Macomb County is Michigan’s third most populated county, boasting a population of more than 865,000 residents and growing. Thirteen people each day choose to make Macomb their home. The county is home to three of the 10 most populated communities in the state: Warren (No. 3), Sterling Heights (No. 4) and Clinton Township (No. 8). Through reorganizing departments, instituting multi-year budget cycles, leveraging realistic forecasts, managing unfunded liabilities and cultivating new revenue, Macomb County government has instituted an optimal financial system. These strategic financial decisions have led to five consecutive years of balanced budgets resulting in strong ratings from Standard and Poor’s (AA+) and Moody’s Investor Services (Aa1).  Macomb County is home to a dynamic network of more than 18,000 businesses that are fueling the county’s economic resurgence. With sound infrastructure and a skilled workforce, Macomb County supports growing industries in advanced manufacturing, automotive, defense, health care, retail, agriculture, food processing and more. Learn more at MacombBusiness.com. The county features more than 17,000 acres of parks and recreational spaces and is equipped with more than 155 miles of non-motorized trails. Fishing, boating and kayaking opportunities abound on the Clinton River and Lake St. Clair. Great entertainment can be found at Macomb County’s spectacular golf courses, popular retail destinations, delectable restaurants, top-notch breweries and local festivals. Learn more at Living.MacombGov.org. Macomb County is committed to welcoming all people. As the county gains in population and cultural diversity increases, initiatives such as OneMacomb strive to cultivate a community that embraces all people and celebrates their unique contributions. Through collaborative community-based activities, Macomb County is promoting multiculturalism and inclusiveness. For more information on OneMacomb, visit Diversity.MacombGov.org.